Finally the BBQ is set. After lugging my rather expensive and very cool BBQ all the way from OZ it was a little disheartening to find all the gas fittings etc were wrong. 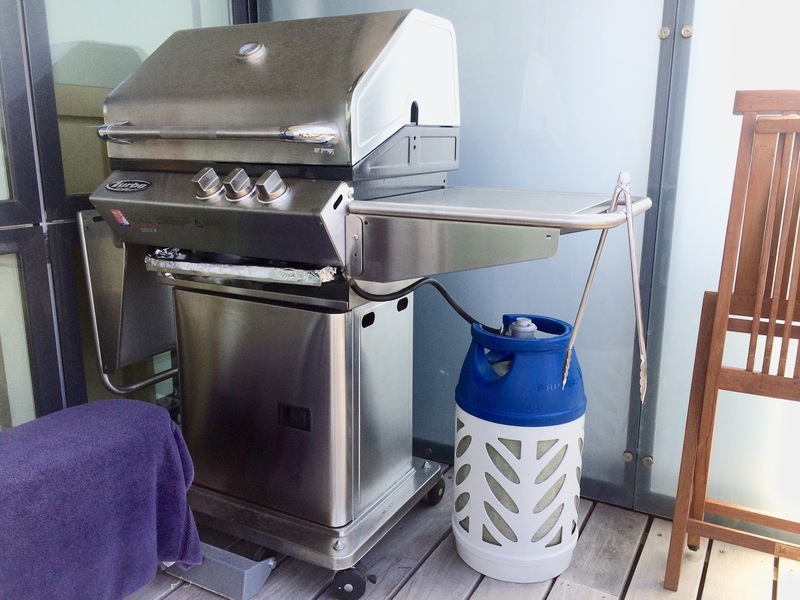 So no BBQs or as they say here "grills"
It has taken a few weeks to suss this out but after many trips to hardware stores, caravan shops and servos I have been directed to a gas specialist shop about 35k away in Haderslev. So onto the Beemer and south to the industrivej (every town seems to have an Industrivej - street name meaning industry st) in Haderslev to find the Kosan gas centre. Well the guy couldn't have been more helpful. We spent some time trying to find correctly threaded adaptors with no success. We did however confirm that my regulator was equivalently spec'd to the DK ones. Finally we chopped off my old regulator and headed into kitchen to find some dish washing liquid and hot water to force fit the Aus tube onto a DK regulator. Success. After some testing and many hints on how to find cheaper gas and bottles across the boarder in Germany (remember this guy works for the gas company) I was riding north to Kolding. Now for a gas bottle. This is another expensive step as the bottles here are very light weight fibreglass and see through so cost about $150AUD. Every service station or hardware person I talked to chuckled and quipped when I asked about buying the first bottle. At least after the initial reaming it's the same process as in OZ ie exchange for a full one at any servo or hardware store for about $28AUD. Now with the full bottle strapped to the back seat of the Beemer and the hardware guy giving me "nice knowing you" looks whilst asking if I had far to travel, I rode home for install and steaks.